We rely on our home heating systems. They take the chill off of an icy morning, and make home feel a little more comfortable and welcoming. We rely on them, and that’s why we need to rely on a dependable company to handle repairs, replacements, regularly scheduled maintenance, and installations that are performed just right. 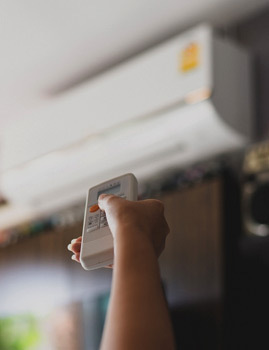 If your furnace isn’t working, or it’s time to upgrade to a newer and energy-efficient furnace, rely on the friendly professionals at Home Mechanix. 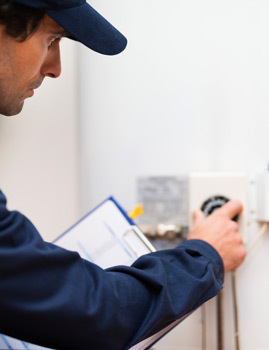 With more than four decades of industry experience, our service technicians can pinpoint any problem your furnace has and get it running in no time. While we have the ability to repair any make or model, we’re also an authorized Goodman dealer, which means we can get you unbeatable pricing on Goodman products, as well as install a new Nest thermostat to keep your home at precisely the right temperature. When it comes to installations, we provide a higher level of service and expertise. 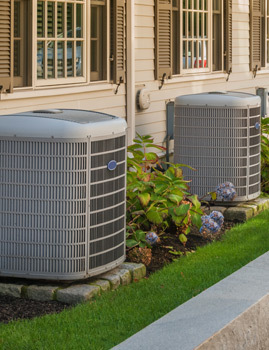 We’ll properly dispose of the old system, create custom transitions from the new furnace to your existing ductwork, and we can even add in a new humidifier. If you have questions or you’re ready to schedule service, contact us online or by phone today. 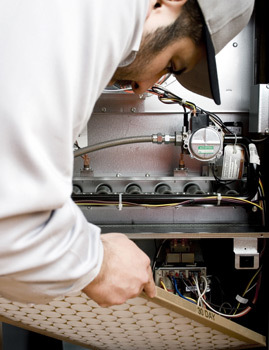 We provide a higher level of service and expertise for your furnace installation. We will properly dispose of your old system and we’ll create custom transitions from the new furnace to your existing ductwork. We can also add a humidifier to your new system. As an authorized dealer, we can get you the best prices on Amana products. We can also repair any make or model of furnace and install a new Nest thermostat to keep your home at just the right temperature. Contact us today.